The "iPhone 8" may finally enter full-scale production in the "third week of September," an analyst claimed on Monday, reinforcing predictions that the device will be available in limited numbers that month —but will likely not have Touch ID embedded in the display. "Our industry research suggests Apple will not include a fingerprint sensor in the upcoming iPhone 8 due to a low yield rate," said Rosenblatt Securities' Jun Zhang in a memo obtained by AppleInsider. "As a result, we believe iPhone 8 OLED mass production could move to the third week of September, a week earlier than previously expected. 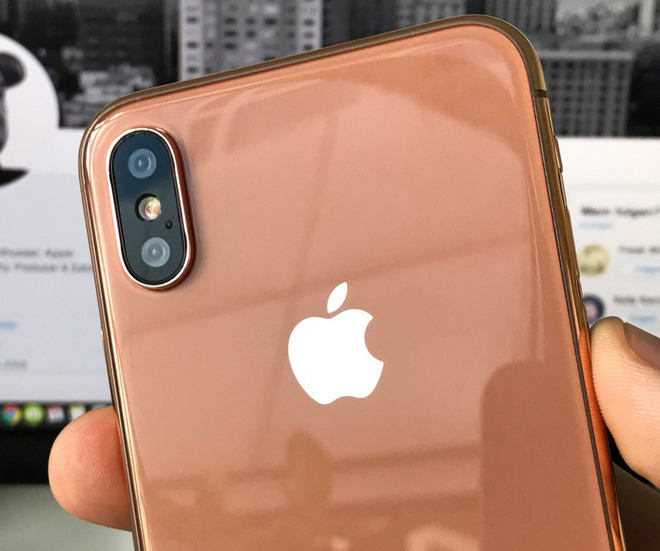 The analyst is predicting no more than 5 million "iPhone 8" units in the September quarter, and between 30 to 35 million in the December quarter. Together the "iPhone 7s" and "7s Plus" —which should retain LCDs and fingerprint sensors —are expected to hit 15 million and 35 million units in those quarters, respectively. The "iPhone 8" could actually see production ramping up through the March quarter to 40 million units, Zhang said, at the same time as the "7s" series scales down to between 25 and 28 million. Zhang's timeline is roughly consistent with one claimed by KGI Securties analyst Ming-Chi Kuo. Kuo, however, argued that the "iPhone 8" may have just 2 to 4 million units in its launch quarter, which would make it extremely scarce. Apple is likely planning to replace Touch ID on the device with advanced facial recognition, especially given the absence of any obvious fingerprint sensors in recent leaks.